The Covenant at Sinai bears similarities to treaties signed between vassal states and more powerful kings. 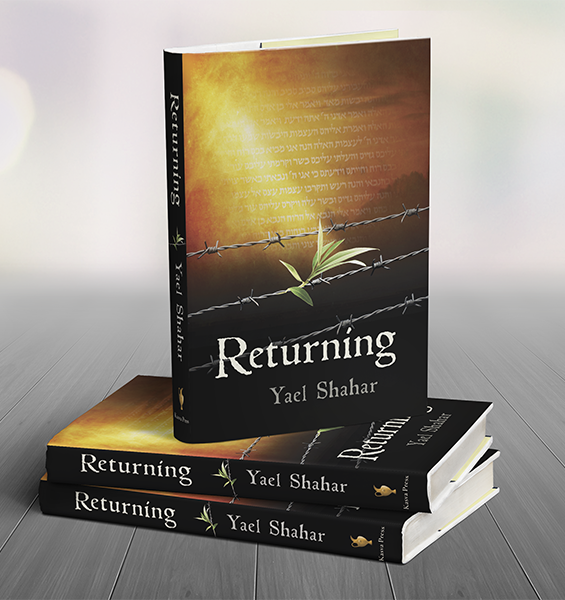 This relationship would have been familiar to the Israelites, or at least, to their leaders. Only now, the oath of fealty is not to a living king, but to the King of kings. No human can see this King. And yet, the experience at Sinai is etched in the memory of a people, and will remain a living memory for ages yet to come. Let them make Me a dwelling place that I may dwell among them. Exactly as I show you — the pattern of the Mishkan and the pattern of all its furnishings — so shall you make it. וְעָשׂוּ לִי מִקְדָּשׁ וְשָׁכַנְתִּי בְּתוֹכָם. כְּכֹל אֲשֶׁר אֲנִי מַרְאֶה אוֹתְךָ אֵת תַּבְנִית הַמִּשְׁכָּן וְאֵת תַּבְנִית כָּל כֵּלָיו וְכֵן תַּעֲשׂוּ. While individuals are to give as their heart moves them, the task of collecting the gifts falls to the people as a whole. Thus, the first act of building the Mishkan depends on individual generosity and public organization. The work of building the Mishkan will involve the entire nation—a joint project in which every individual will take part. The project will unite the people in a labor of love. 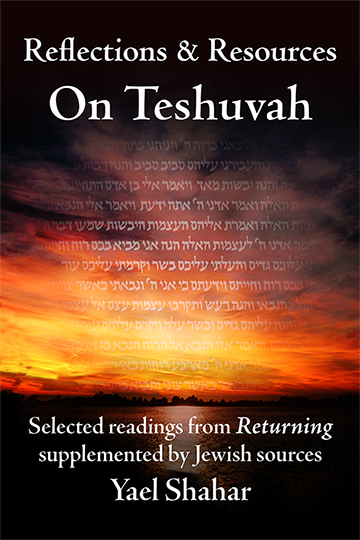 But what is the Mishkan? And why are the details of its building so precise? It’s been pointed out that the Mishkan bears similarities to the traveling “palace” in which Egyptian pharaohs would reside when out on campaign with his armies. 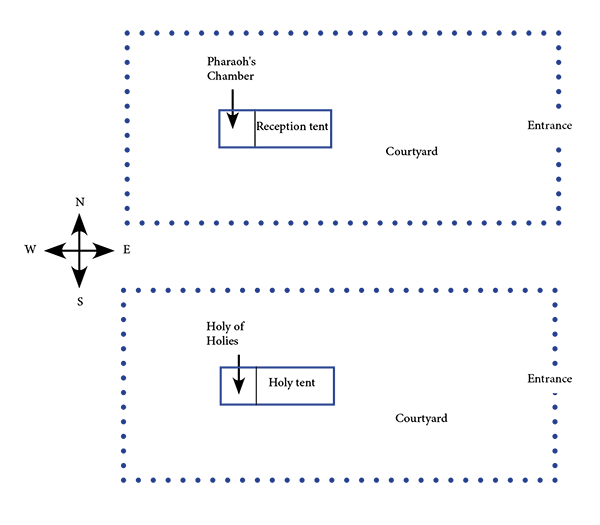 Michael Homan famously showed the parallels between the structure of the Mishkan and the military tent of Ramses II. the very same pharaoh who is believed to have reigned at the time of the Exodus. The Israelites would very likely have been familiar with this tent; it was depicted in numerous murals and friezes commemorating the Battle of Kadesh, in which Ramses defeated the Hittite army in Syria. One such frieze is the one at Abu Simbel, shown below. The king’s traveling tent was the mobile “nerve center” of the empire. One can imagine advisers and officers going to and fro in the courtyard, affairs of state being decided, messengers departing with the king’s instructions, special envoys being decorously admitted into the inner sanctum. And in that inner sanctum, forbidden to all but the king’s closest advisers, the royal throne room with its pomp and splendor—the center of it all. This throne room is symbolized in the Abu Simbel frieze by the Cartouche of the King — his name within an oval border protected by falcon motifs. The Mishkan, like pharaoh’s tent, is set within an enclosed rectangular courtyard, with its entrance on the east side. The king’s throne room has its counterpart in the Mishkan — the Holy of Holies. But more striking than the similarities are the differences. While Pharaoh’s throne was occupied by a human king, the inner sanctum of the Mishkan is empty of the physical presence of the King. The King of kings needs no throne to sit on: “the earth is His footstool”. And yet, the inner sanctum is not empty. In the place of the royal throne stands the Ark of the Covenant containing the tablets of the law, the written testimony to the treaty between God and the nation of Israel. Atop the ark sit two Khruvim, their wings spread out over the empty throne. The Ark is surrounded by a series of layers: first the pavilion (the parokhet), then the richly embellished inner tent, then the tent of goat’s hair, then the covering of rams’ skins dyed red, and lastly the covering of leather skins. Further, the Mishkan itself is surrounded by the fenced courtyard. All these layers are symbolic of the hierarchy of holiness, ever increasing, as one nears the “throne room” in the center. Into this sacred space, only the Cohen Gadol can venture. There I will meet with you, and I will impart to you—from above the cover, from between the two kh’ruvim that are on top of the Ark of the Covenant—all that I will command you concerning the Israelite people. Egyptologist Scott Noegel points out the parallels between the Ark of the Covenant and Egyptian sacred barks—ritual “boats” meant to carry gods or mummies. Such barks were carried in public processions and often served as oracles. 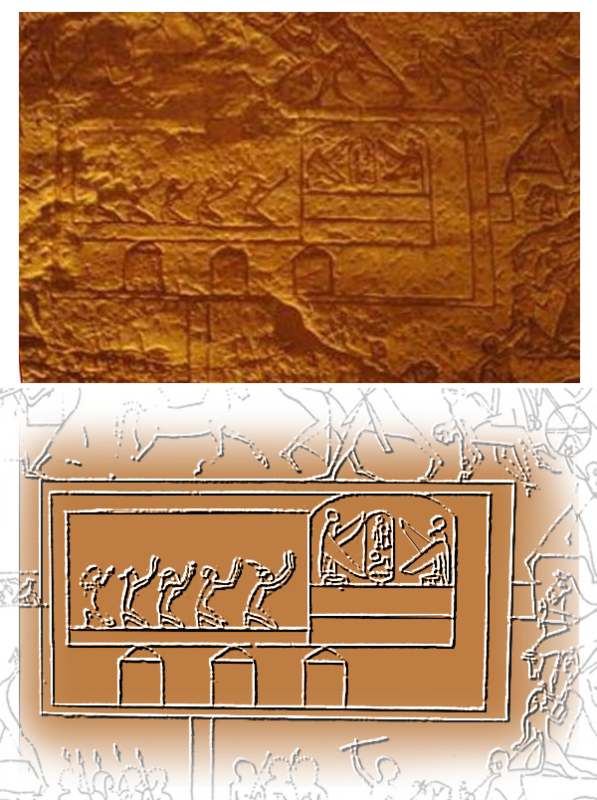 Many barks were decorated with protective kerubıˆm, such as the naos of the bark of Amun found on Seti I’s mortuary temple in Qurna … Like the Ark of the Covenant, sacred barks were carried on poles by priests, the so-called pure ones (Egyptian: wʿbw), who had performed purification rituals in order to hoist the bark. The Egyptian bark, like the king’s tent, was a symbol that the Israelites would have been familiar with. Like the bark, the Ark of the Covenant “represented a throne and a footstool”. But why model the ark of the Covenant after an Egyptian bark? One reason is that the Ark of the Covenant had to be ready at all times to move out. It’s carrying poles were never removed. This too is symbolic of a God who is not to be pinned down to any place or situation—a God who named Himself as “I will be what I will be”. Berman notes that the the Exodus story itself borrows motifs and stylistic elements — and sometimes exact phrases — from the glorification of the Pharaoh’s victory over the Hittites in the Battle of Kadesh. He argues that the extent of these similarities, coupled with the fact that the original Pharaonic text was widely known at the time, points to “a deliberate act of cultural appropriation.” This conscious appropriation of the Pharaoh’s own propaganda was an act of political satire which is at once joyous, triumphant… and scathingly insulting to the greatest ruler of the region. Similarly the choice to model the Mishkan after the king’s royal pavilion is a conscious one. These symbols would have been especially meaningful to a people who had until recently seen Egypt as the superpower that could not be beaten. By appropriating the symbols of the regional superpower, the Torah is conveying a powerful truth: You are a free people. There is no pharaoh upon the throne in the Holy of Holies. Rather than a symbol of oppression, the tent of the king is the work of your own hands, lovingly built out of materials that you yourselves have contributed. It is a living symbol of the presence of the King of Kings in your midst.